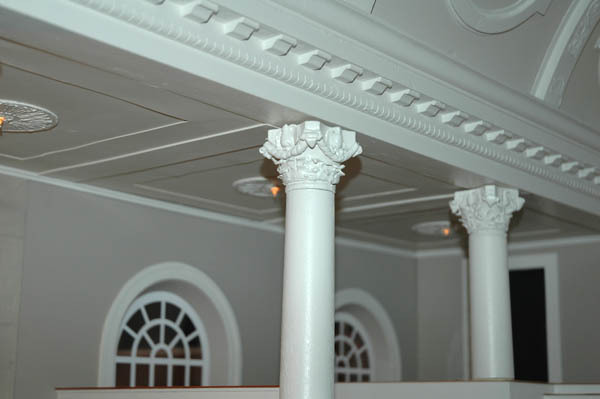 You wouldn’t know from the exterior of this building that inside, magic happens. C.B. 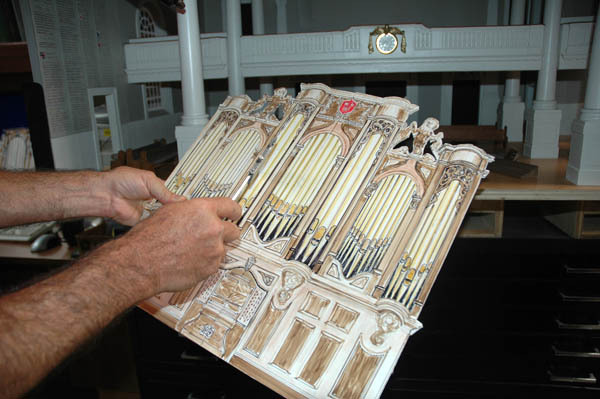 Fisk, Inc., Pipe Organs in Gloucester, Massachusetts is home to a talented team of craftspeople who build world class pipe organs. 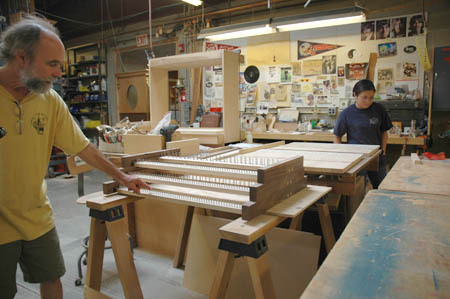 Their skills range from the ancient crafts of metallurgy and cabinetmaking to modern computer-aided design. 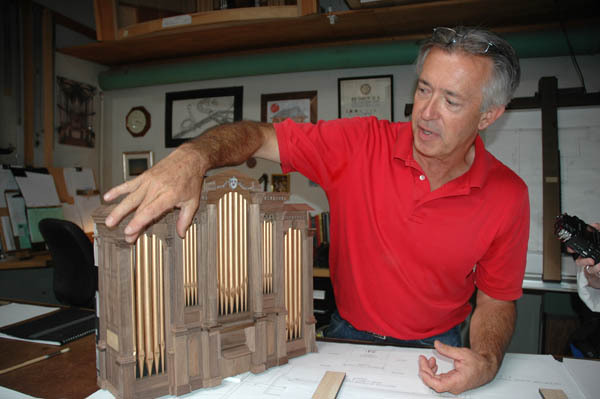 Physicist and organ maker Charles B. Fisk founded the firm in 1961 to build pipe organs with mechanical action, as they were built in the time of J. S. Bach. 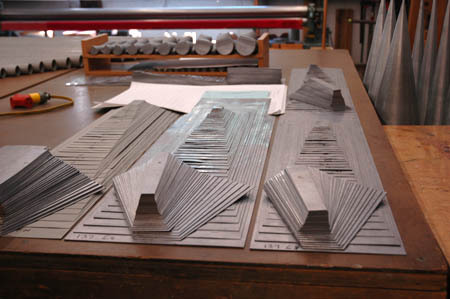 Fisk organs typically contain thousands of pipes, most made from lead/tin alloys cast into sheets in the company’s workshop. We visited C.B. 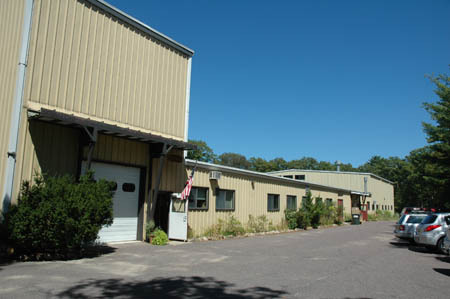 Fisk, Inc. recently, where we began our tour with Greg Bover, Vice President for Operations. 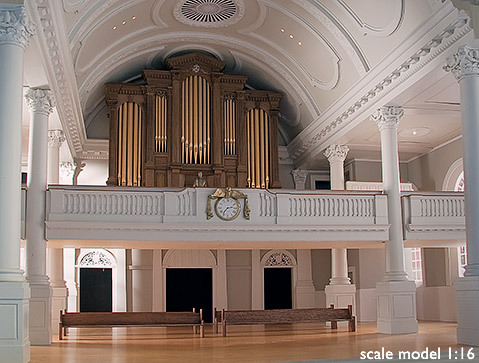 Here you see him with a 1:16 scale model of Harvard University Memorial Church, one of three current instruments in the process of being built. 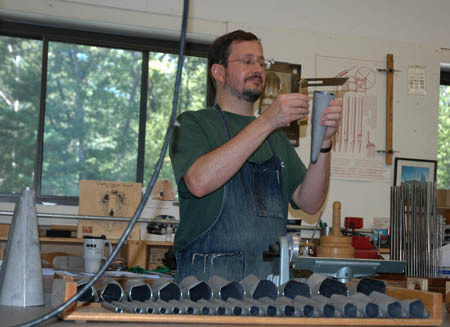 Pipe builder William Finch gives us a tour of the entire company, beginning with the voicing room, where each individual pipe is adjusted until it “speaks properly.” In the wood shop we watch organbuilder and voicer Nami Hamada working on the keyboard for Memorial Church. 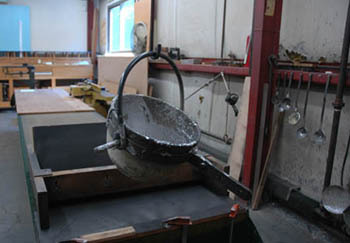 The casting room is where lead and tin are smelted down to form three different alloys. 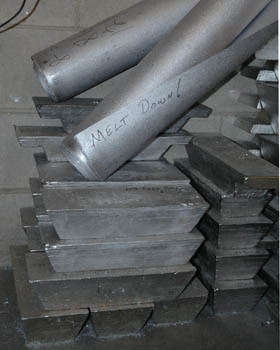 The pure lead has trace amounts of antimony, bismuth, and copper. 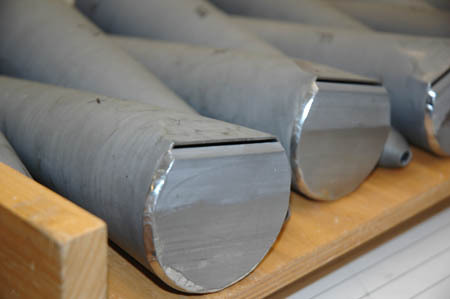 These impurities stiffen the metal. 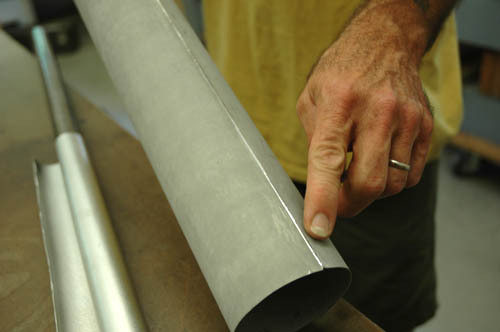 William explains that harder the metal, the more the overtones are accentuated when air passes through the pipe. We enter the pipe room, greeted by the sound of blues blasting from a boom box. 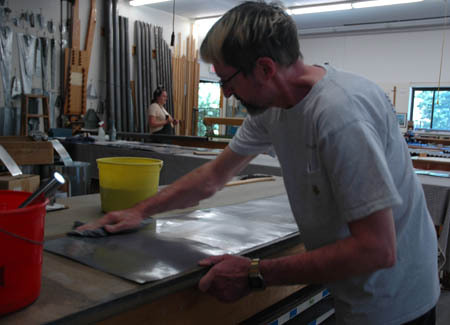 Here several staff members are working on various aspects of fabricating pipes. 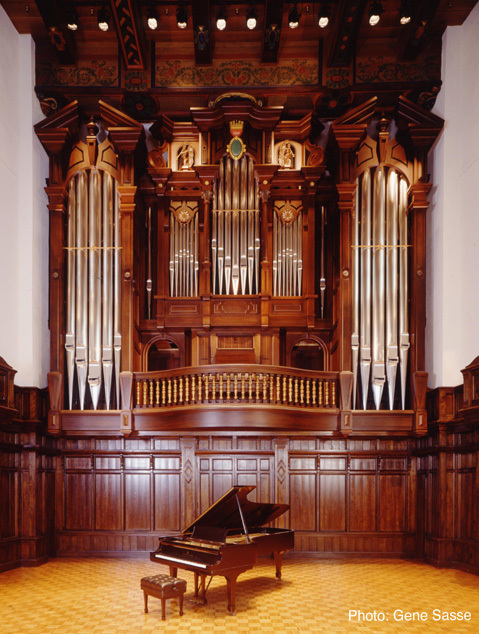 Listening to people throughout the shop talk about the process of making pipe organs, it is hard not to notice how the organ’s core parts are attributed with traits of the human body. 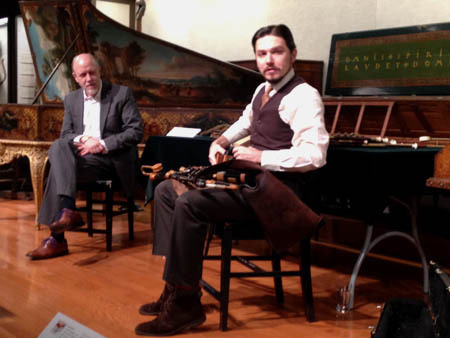 The pipe has a “tongue,” “body,” and “feet.” It is said to “speak” and must be voiced properly. 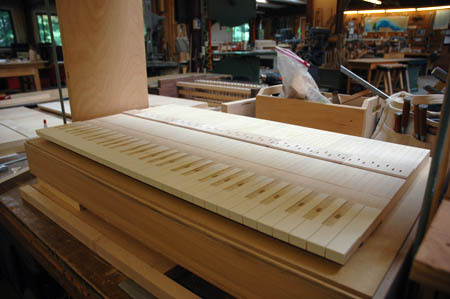 The reeds of the pipe sit on a wind “chest.” It’s as if the finished product is a living, breathing, thing.